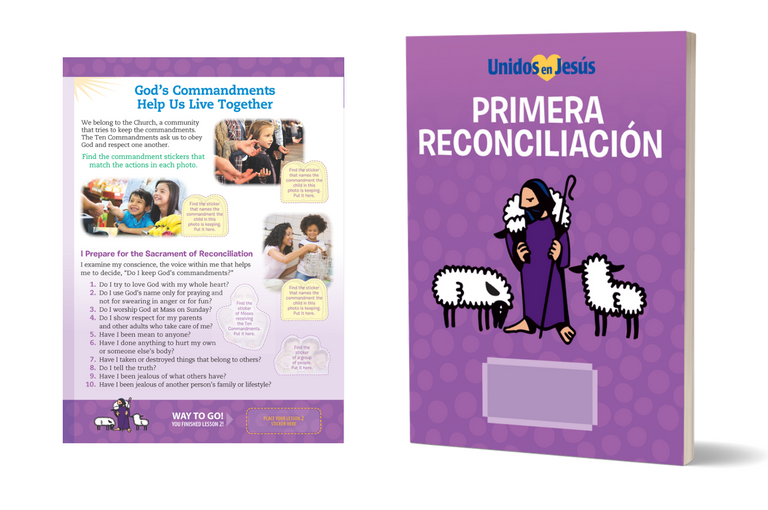 Lessons focus on biblical stories about Christian living — including the Good Samaritan, the Ten Commandments, the Sermon on the Mount, and the Prodigal Son – to help children appreciate that God loves them and is always ready to forgive them. Activity stickers help children relate the stories to their lives. 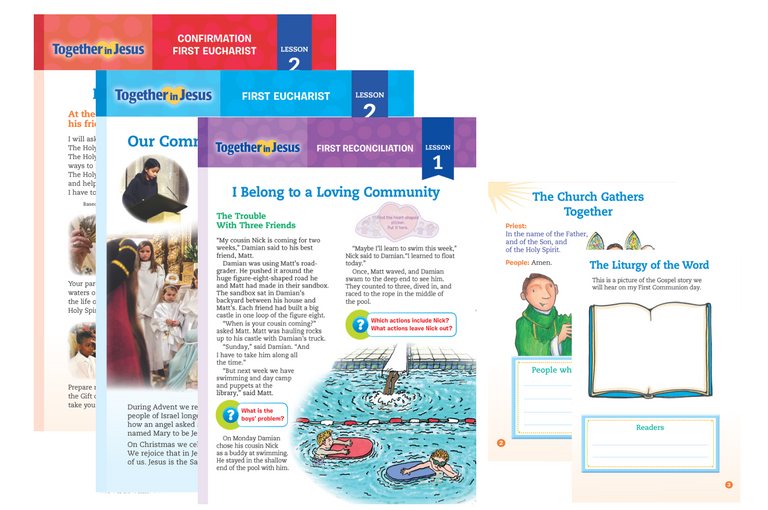 Also included are a “Questions Parents Ask” handout and a “Family Time” poster with at-home activities. 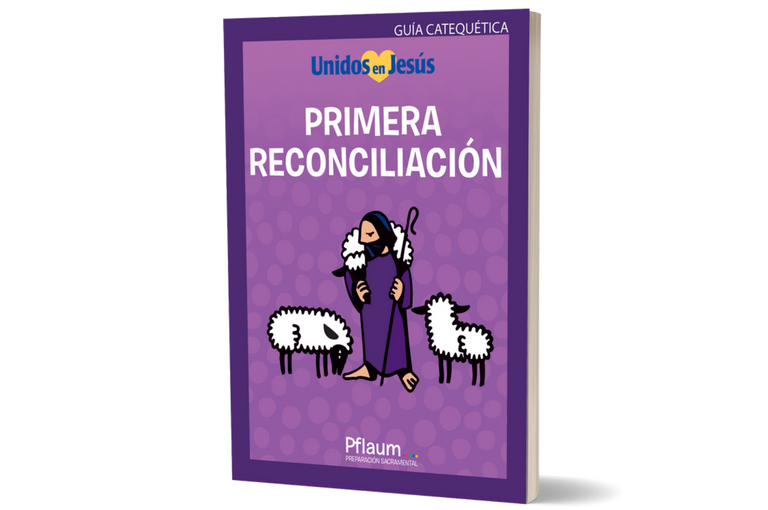 The bilingual edition includes all of the components of English edition, plus six student lessons, “Questions Parents Ask” and a “Family Time” posters in both English and Spanish. 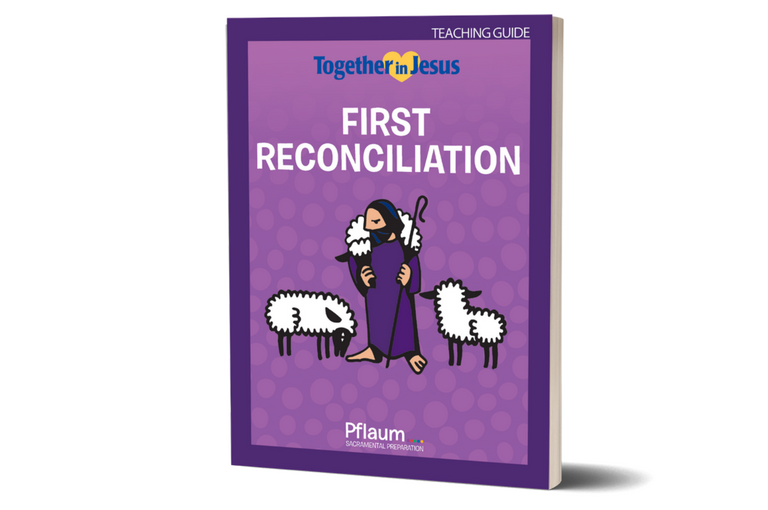 The guide provides a step-by-step plan for each Together in Jesus lesson including an overview, specific objectives, preparation suggestions and an opening prayer. Annotated illustrations of the children’s handouts are incorporated into the guide to guarantee teaching directions will be easy to follow and lessons will be successful. 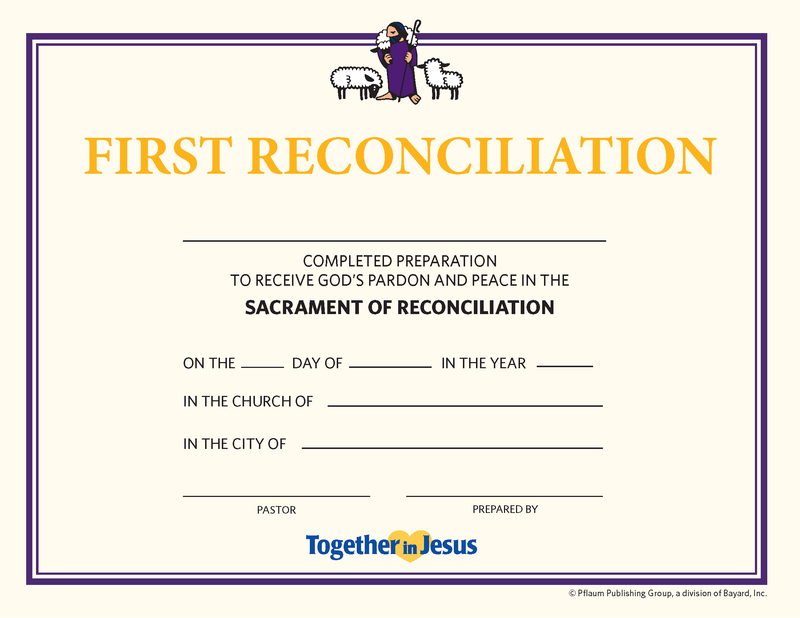 Each lesson concludes with a reproducible prayer ritual to reinforce the power of prayer in all that we do. 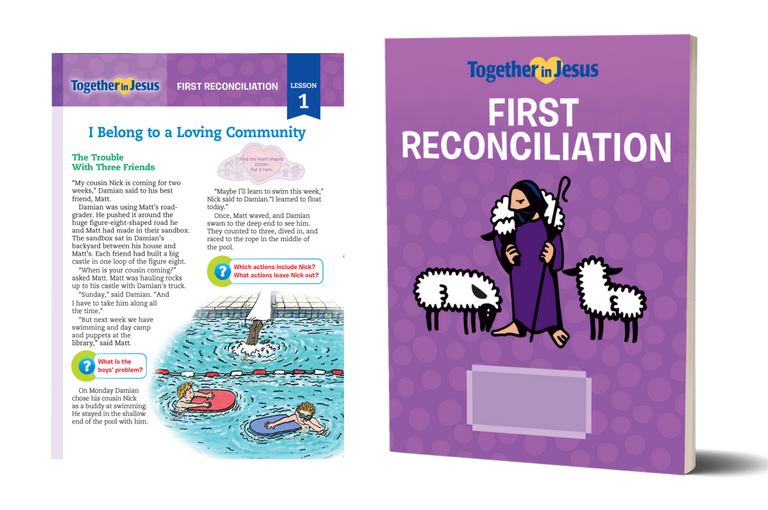 This guide includes tips for getting organized step-by-step plans for each Together in Jesus lesson. Annotated illustrations of the children’s handouts guarantee teaching directions will be easy to follow and lessons will be successful. Reproducible prayer rituals for each lesson reinforce the power of prayer in all that we do.